Here are the pictures missing from the Vintage Butterfly post! Happy New Year to all hope you had a fabulous holiday! Well I have been doing some research on stationery both wedding and general and I can't find anything I like. 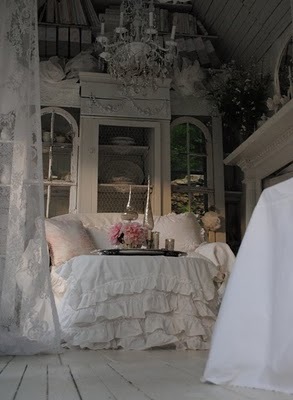 One thing for sure I love all the vintage look I think it's stunning and so romantic. It got me thinking so to the drawing board I happily went and came up with the following. One set of stationery that I recently designed was the 'Vintage Rose Wreath' collection (what a mouthful) just very simple roses on cream or white linen card stock. I've used a clotted cream coloured ribbon although it can be teamed up with any of those sludgy pinks or greens that go so well with the vintage look. I haven't photographed the full range - just a little taster. The invitations so far are a normal folded invite and a flat card invitation I will be adding pocketfolds and wallets later on. The most popular theme for last year was butterflies - but again I couldn't find inspiration anywhere! I did however come up with the butterfly design above which I love. I added sparkle in the way of real Swarovski crystals and went sludgy and vintage with the ribbon. Again this comes in the full range of stationery. Watch this space for more vintage finds!